Sicily is an island of stunning natural and architectural beauty and an island ripe with legends - the stuff of dreams. And what better way to experience it than with a luxury holiday in Sicily, making the most of the views, the wonderful food and exceptional service? 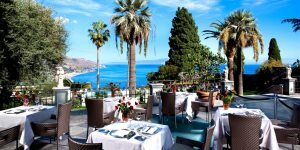 Enjoy some incredible features and facilities at one of our luxury hotels on the island of Sicily. Find the perfect self-catering villa with a touch of luxury; the perfect option for holidaying families. Enjoy some fantastic deals on luxury holidays to Sicily, allowing you a dose of luxury for less.